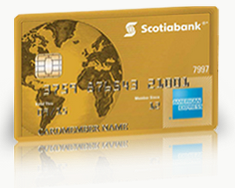 Rewards Canada: Scotiabank Gold American Express Card - First Year Free with a 30,000 points sign up bonus! Back on March 1st I stated that I didn't think we'd see a stronger offer for this card as 20,000 points with 1st year free that we had seen the card for sometime and that all changed when the offer got better that day. Well I'm eating my words again as the card just got even better for new sign ups! The card with some very strong category earning (Gas, Grocery, Dining & Entertainment) had a 25,000 point sign up bonus with no annual fee in the first year since the start of March. However now we see the card keep FYF but have the sign up bonus jump to 30,000 points if you spend $750 in the first three months! The offer of 30,000 points is worth $300 in travel and since it is first year free you essentially get that $300 for free! This offer is valid until July 31, 2017! This card ranked second in the Travel Points Card with annual fee category and fifth overall in our 2017 Top Travel Rewards Credit card rankings and you'll definitely see it in our Top 5 Sign Up offers for May.